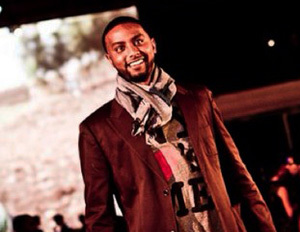 The It Factor: Hiyaw Gebreyohannes, 31, is the owner of Taste of Ethiopia, a prepared food business that aims to bring traditional Ethiopian cuisine to kitchen tables across the country. In less than a year, Gebreyohannes has managed to secure distribution deals with major retail outlets in New York City including Whole Foods, Foragers City Grocer, and Fairway Park Slope Food Co-op. Today, Taste of Ethiopia sells to more than 15 stores across the city and are expecting sales totaling more $200,000. Quality Control: “I adopt a ‘small-batch philosophy,’â€ Gebreyohannes adds. He believes that food entrepreneurs shouldn’t just focus on the number of orders acquired but whether each item can deliver the same level of quality. “There is a danger when you beef up production. You don’t want to get to a point where you have to water down the quality of your product. Making sure I always produce items in small batches helps to maintain a delicate balanceâ€ adds Gebreyohannes.